Canal boats, also known as narrowboats (and sometimes referred to as barges or longboats) are very easy to drive and offer a truly unique family holiday. Alternatively, hire a narrowboat for a relaxing weekend or midweek short break, perfect for couples families and groups of friends. The UK canal network offers over 3,000 miles of historic waterways and is steeped in more than 200 years of history. 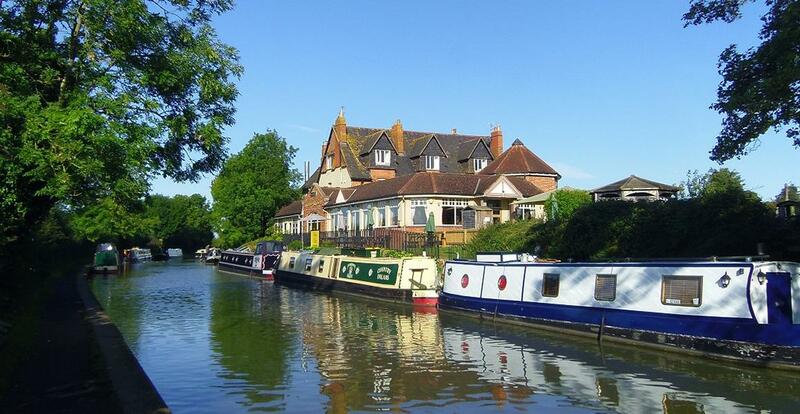 A canal boat holiday offers you the chance to visit waterside villages, historic cities and stunning countryside, all from the comfort of your floating holiday home. Don't worry if you have never tried a canal holiday before as you will receive full tuition on driving your narrowboat when you arrive to collect your boat so there is no need for any previous boating experience. What's a Boating Holiday like? A canal boat holiday is an outdoor adventure, you're likely to encounter locks, swing bridges, tunnels and aqueducts. Provided you have a rod licence, you can fish on most canals at any time of year. The close season on the rivers runs between 15 March to 15 June inclusive. Click to view an interactive map of the UK canals and rivers. You'll receive full tuition on arrival at your chosen marina. Don't worry, even if you've never been on a boating holiday before, you'll feel confident by the end of your first day. The tuition usually lasts 45 minutes to an hour and you'll have plenty of time to ask questions. There will be a boater's manual on board the boat for you and a contact number for the marina should you need it. You do not need to have a licence to skipper a boat, nor do you need to know how to drive a car. Most of the UK inland waterways have locks, some more than others. You'll receive instruction at the beginning of your boating holiday and will be taught to understand how locks work. Essentially, locks are like lifts that transport your hire boat up or down a canal or river so that you can continue on your journey. Once your narrowboat is safely inside the lock and the gates are closed, you open paddles in the lock gate to let water pass either into or out of the lock to raise or lower the boat. The UK has lots of canals and rivers, in England and Wales there are 1,569 locks and half of the UK population lives within five miles of a navigable waterway. Most canals were originally built to transport goods between towns and cities. Read more about city breaks by boat. A canal boat holiday is often described as 'the fastest way to slow down' and UK boating holidays offer a wide choice of rural routes. Click for more: boating holidays in England, canal boat holidays on the Welsh canals and canal boat hire in Scotland. You can also purchase waterways maps and guides online. Pubs are one of the best things about a canal boat holiday. All boats have everything you need to self cater but you'll also find lots of waterside pubs and eateries. We recommend purchasing a guide to the waterway for more information about the pubs along your route. Most pubs are pet friendly and will allow dogs in the bar area. When hiring your narrowboat, you can moor almost anywhere along the towpath side of the canal, as long as you're not causing an obstruction. Most moorings are free of charge and not booked in advance. The stern refers to the back or your hire boat, the bow is the front. There are three types of stern; 'cruiser', 'semi-traditional' and 'traditional'. You'll find that you have the most room on a cruiser stern, the whole family can usually stand at the back by the helmsman together. Cruiser sterns are also ideal if you are taking your dog on your canal boating holiday. Semi-trad sterns are perfect for families with young children as they provide somewhere to sit near the helmsman. Trad sterns are the most traditional, there is only room for the helmsman to stand at the back of the boat. Call us on 01252 796400 for friendly advice or check our frequently asked questions about boating holidays.